You may hear people recommending vitex, also known as chasteberry, as part of a diet plan. It's important to remember that while vitex contains some compounds that may enhance health, it is a medicinal herb — not a food. It contains no calories, fiber, major vitamins or minerals. But vitex may help women who are struggling with weight gain associated with PMS or menopause. Never attempt herbal self-treatment without talking to a doctor. .
Vitex agnus-castus, a Mediterranean shrub, bears small fruits known as chaste berries, or chasteberries. The plant's two common names, monk's pepper and chaste tree, reflects a traditional belief that the berries suppress the libido. Liquid and solid extracts are prepared from the dried berries. At least one weight loss company's line of "for women" products includes vitex. Duke University examined the product's herbal blend which, the manufacturer implies, contains fat-burning properties. The university found vitex and the other herbs are actually better at enhancing mood and relieving cramps than providing fat-burning or metabolism-boosting properties. Yet you may find that, as the product suggests, easing stress is another crucial element of successful weight loss, making vitex a legitimate herb to include in a diet program. Vitex's possible contribution as a weight loss aid comes from its potential to ease water retention and bloating. The University of California-San Diego's Health Library lists bloating as one of several PMS systems that vitex effectively treats. Yet, the University of Maryland Medical Center cites research suggesting that bloating is not helped by vitex. 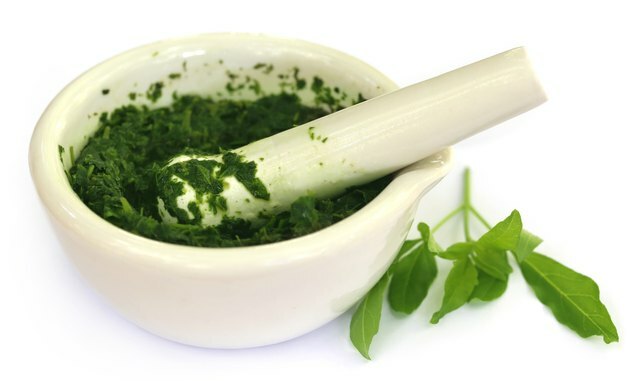 Your health-care practitioner can give the best advice about whether vitex or other herbs should be included in a sensible weight loss plan. The University of Michigan points out that while vitex contains several beneficial compounds, they appear to only work together when taken as a complete berry extract, rather than when one compound is isolated. Vitex contains iridoid glycosides, flavonoids, and terpenoids. Researchers believe that these compounds stimulate the pituitary gland, which helps to regulate hormone activity. According to the University of Michigan, vitex's best-researched health benefits involve easing symptoms of premenstrual syndrome, or PMS. Complaints found to be eased after taking vitex include breast tenderness, acne, headaches, irritability and cramps. Traditional uses of the herb include broad applications for "women's problems," such as problems associated with menstruation, menopause, nursing, infertility and labor. Even if you find that vitex helps you with water retention, gas or bloating, remember that eliminating these problems helps you lose water weight, not excess fat. According to the University of Michigan, no known drug interactions with vitex exist. It may cause mild rashes or stomach upset, and shouldn't be taken during pregnancy. Unlike over-the-counter medications advertised as PMS-fighters, vitex works best after several months of taking it consistently. Is Vitex Safe in Pregnancy?